Been using for a couple years. Best out there! The app is very easy to use and leverages data from the internet to make it easy to add wines. By far the best one I use to track my cellar. I love downloading the .csv file, making additions and corrections, merging it with another wine database I have and uploading the whole works back to Wine Cellar Database. I enjoy databases almost as much as I enjoy wine! I've been using this Wine Cellar Database app for a year or two now and it's exactly what I've needed. Very customizable, I'm able to enter whatever information I want about each of the wines we have. I can sort wines, filter them, and add new ones easily. Regarding some comments by others about lost data, I can see where maybe that could happen if you don't regularly sync your database to the Dropbox cloud. But I do sync and while I've never lost any data, if I ever did I could restore it from Dropbox. Using Dropbox sync also lets me keep my iPad and iPhone apps databases the same. 5 stars from this very happy user! Leaving the wine fridge door open pulling out bottles to select a wine is no fun. Nice to have the app to look at my inventory and make the decision there. I use the "location" field to track the spot in the fridge numerically. I started with the free version but ended up buying slots so I can keep a full history of all wines I have drank in the "wishlist." Numerous times I have gone to buy a wine, checked my historical notes and realized I didn't like it enough to buy again. Been using the app for years without issue. It is overdue for a UI refresh though, it is looking dated. 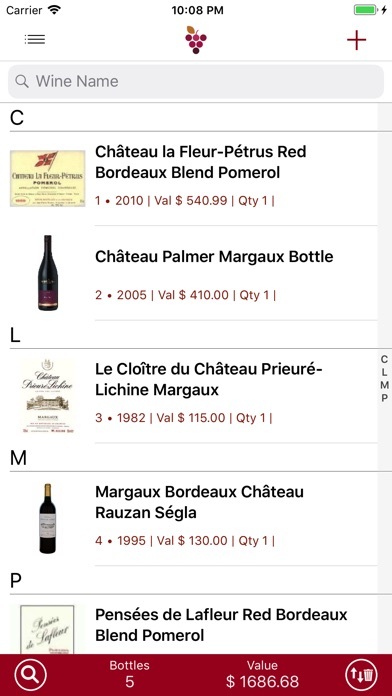 I was very pleased with the app for a while and found the wine search function very good. Data entry was easy. However after entering about 150 plus wines it lost all of my data. I had purchased the unlimited wine app. I am afraid to start again and the owner who was originally helpful has now become unresponsive. I would suggest using another app. I have tried a number of wine cellar apps, and this is by far the best. Adding and deleting bottles from inventory is very simple. I particularly like the online bottle search system. 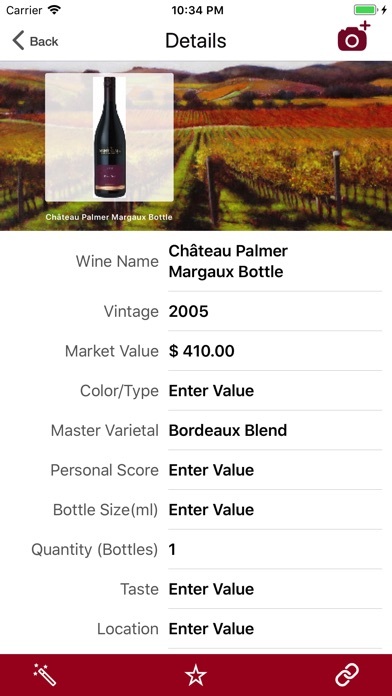 A good deal of bottle information is loaded automatically, including label art if it is available. Extensive information for each bottle can be added manually if so desired. If you have a question or problem, customer service responds almost immediately. 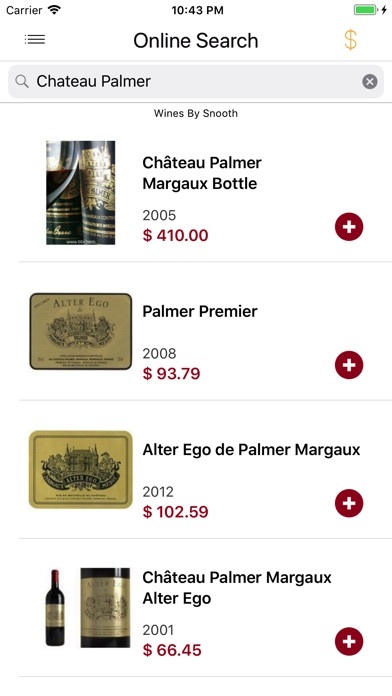 This is an excellent app for a beginning or serious wine collector. Absolutely love the new update! Beautifully done. I've tried many wine apps and even resorted to using spreadsheets and notes. This is now my go to wine cellar app. Not only is it easy to add bottles to the database but there's an online search which works for many top brands. I can see my collection by age or varietal or location or any other attribute. It's very versatile and highly recommended. Labor intensive, lot of saves BUT GOOD! 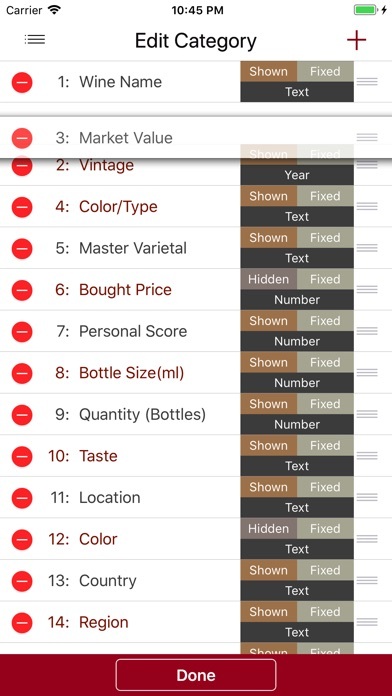 Customizable wine cellar app done right! This app is my new one stop shop for keeping track of my wines. It offers so many features that allow you to customize categories and lists. If you want an easy to use app with many neat perks, this is the one! This is a great app. I have a moderate-sized wine room. I purchased the 500 bottle option. I'll go to infinity when the time comes. Being a relatively old guy with a lot of wine to drink (I'm determined! ), I had a few questions about how to use the app. Much to my surprise, I received incredible customer support in response to my emailed questions. I have a zillion apps, but I've never seen anything like it. Happy me. 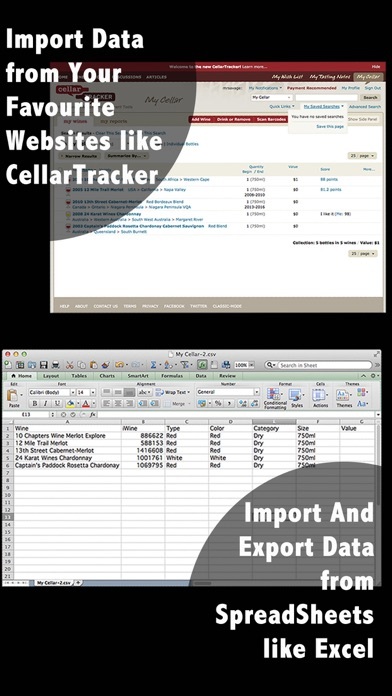 My days of perpetually outdated wine room excel spreadsheets are over. Yay! Basketball - Get your facts right!